Download our free guidebooks and explore our new guides for 2018. 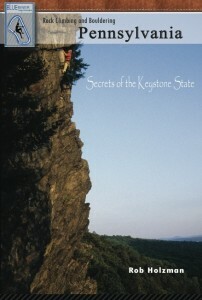 We have new and upcoming guidebooks for all over the Keystone state. We have new guides for Eastern PA, Central, PA, Diabase Bouldering areas and a new PA Bouldering guidebook coming out. All are full color guidebooks. Also explore our guidebook apps for all over Pennsylvania. Explore our map of regularly expanding climbing and bouldering areas across the Keystone State. Explore our digital and print guidebooks for Pennsylvania. We currently have guidebooks in the works for every climbing area in the state, as well as our comprehensive digital and print books. We also have new guides for 2018 available.